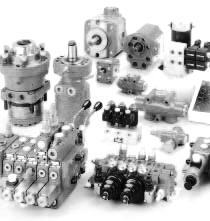 electric and servo-hydraulic plants and components. our experts will also support you with a comprehensive consultation - from the very beginning of your project to the final product release of your hydraulic application. You will find a choice of project examples of individual system solutions in our authoritative list. It's likely you know us by one of these company names.